The end of the world has begun. Now fused with the evolved Gatomon, Meicoomon’s powerful new form, Ordinemon, wreaks havoc as the Digital World starts to engulf the Human World. Confronted by their impending doom, the DigiDestined, sans Tai, set out to face the threat head-on. Meanwhile, Homeostasis, the Digimon group striving for peace, set in motion their own plan to deal with the out-of-control Ordinemon, albeit at a great cost. 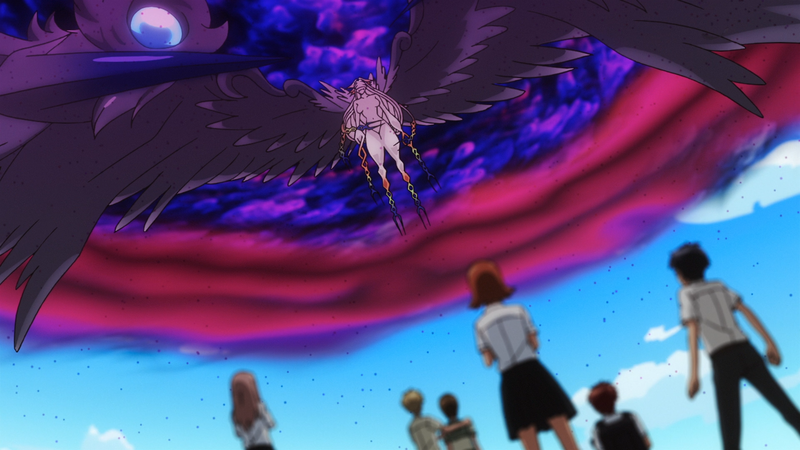 To prevent the upcoming destruction, the DigiDestined and their partners will continue their frantic fight. The fate of mankind once again rests on their shoulders, and the time to make the final decision has arrived. 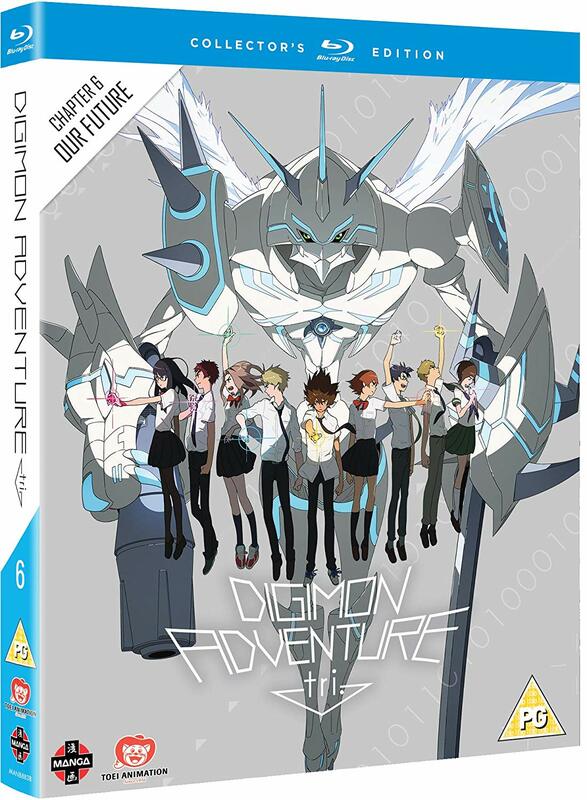 It’s hard to believe that it’s been a year and a half since the release of Digimon tri Part 1 in May of 2017, but after five films of varying quality, we have finally arrived at the sixth and final entry in the Digimon tri saga, Our Future. The ups and down of the previous films had me a little bit worried for the finale, but, whilst not the best of the bunch, Future thankfully provides a more than satisfying conclusion to this chapter of the franchise. Intentionally or not, Future takes a leaf out of the best Digimon series’ book, Tamers, by essentially acting as an extended homage to the late 90s cult classic Neon Genesis Evangelion. I’ll admit, it wasn’t what I was expecting, especially for what is ostensibly a brand aimed at children, yet it is hard to deny that in both plot and general aesthetics, it bears an absolutely striking resemblance to the culmination of the original Evangelion run, the 1997 masterpiece of anime and film that is The End of Evangelion. From the broad strokes, such as the apocalyptic premise, to more specific imagery such as the harbinger of doom taking the form of a gigantic naked white lady, you could make an argument for Future ending up a bit derivative, but personally, I really enjoyed this element. 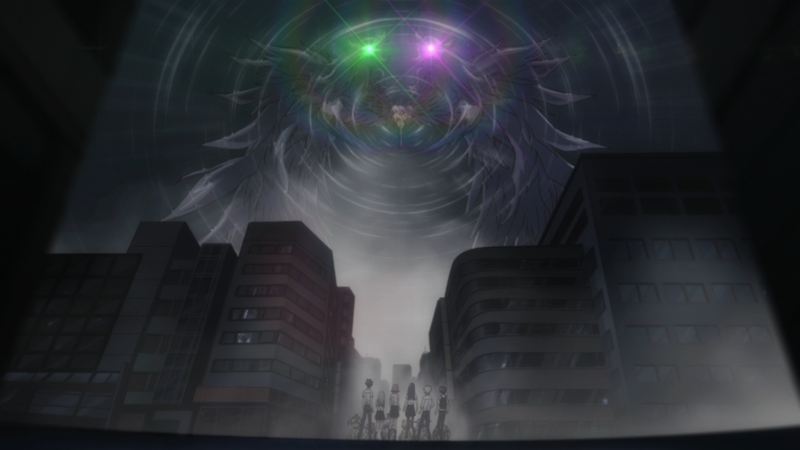 Even if not entirely original, it does result in a unique Digimon entry if nothing else, as we see destruction on a scale we haven’t seen before, with some really memorable and oddly horrific imagery. Plus, being a big Eva fan myself, it’s just fun to see the little nods here and there. An element of the film I did find myself conflicted over how it handled the aftermath of Tai’s supposed death at the end of the Coexistence. The first 20 minutes place a large focus on this, as you’d expect after bumping off the face of the franchise, and these opening scenes pack an emotional punch as we see the different DigiDestined try to come to terms with their grief. However, once again the choice of a film series over a TV series rears its ugly head for the umpteenth time, as the emotional impact is all but zapped when we find out Tai is alive and, well, almost immediately afterwards. If this was a TV show, and an episode ended on these grieving scenes, it’d have a lasting impact, as you’re putting a long gap between them and the reveal of Tai’s true fate, but when it’s in the same movie, and practically back-to-back no less, it just comes across as a bit pointless, which is an honest shame. If there is one fact I am still certain of at the very end of this whole saga, it is that it definitely would have been better as a TV show, which was the initial plan, and you can tell at several points throughout. 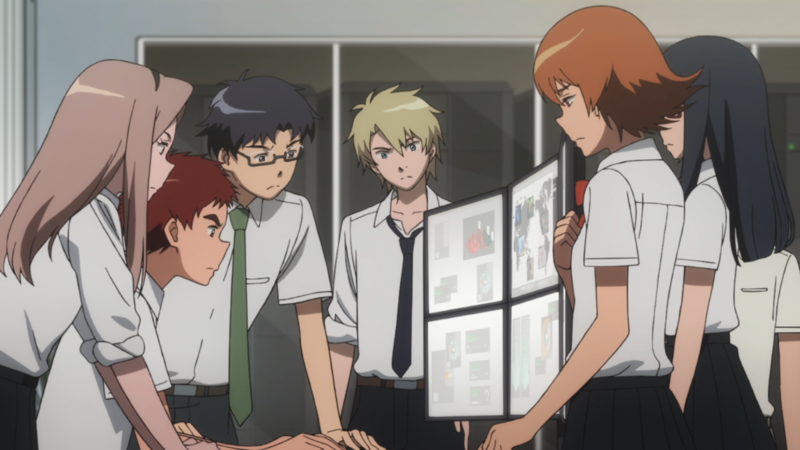 Several times in the past, Digimon tri has shown a particular penchant for character development, leaning heavily on its cast of characters and fleshing them out far more than in Adventure 01, which was fantastic to see, but Future totally eschews any notion of doing the same in favour of spectacle, and I have zero issues with this. We’ve had so much time dedicated to characters in the past that I can’t even be mad that the finale chooses instead to go all-out on the destruction and action, and it is totally justified and honestly what I wanted. I could say the same for the Digivolution sequences present too, which are perhaps over-plentiful, but it’s the big spectacular ending with all the fireworks, so I can let it slide, just this once. The ending itself manages to have its cake and eat it too, having a gigantic battle with the mega-evolved Digimon whilst also tying in the theme at the very core of the franchise – friendship – in a way that doesn’t feel overly saccharine or nonsensical, overall being a satisfying way to end things. 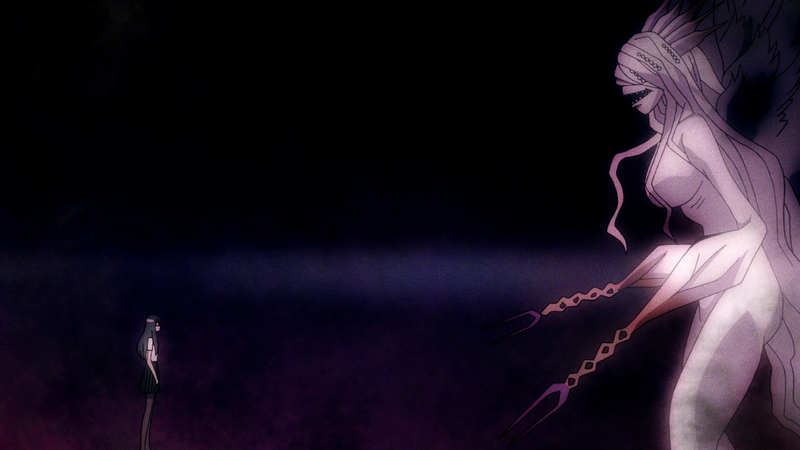 Whilst maintaining a very consistent quality to the animation throughout the six films, Future is the best-looking out of the bunch, purely down to the art direction, as I mentioned earlier. It has a look totally of its own when compared to its ilk, without straying too far from what had come before. The dub cast put in equally great performances as I’ve come to expect, really giving it everything for the finale, especially in the more emotionally heavy scenes at the beginning. 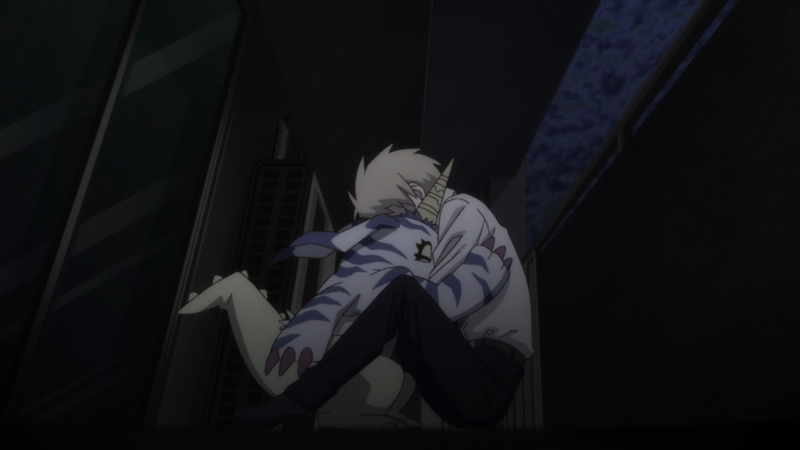 Whilst not perfect, Our Future is an enjoyable and satisfying conclusion to the Digimon tri series, pulling out all the stops for a spectacular finale. Digimon Tri Chapter 3: Confession is the best entry in the series so far, having a balance of a great story and character development, with a good dose of action.